This bivy was retired by OR a few years ago, but it still holds up to my needs. It features a durable waterproof floor and a lighter, breathable, waterproof top section. The top opening has a mesh hood to keep out the desert animals and to remain airy. There are small loops around the head section that would allow you to suspend the hood with a piece of cord, and a near by tree. 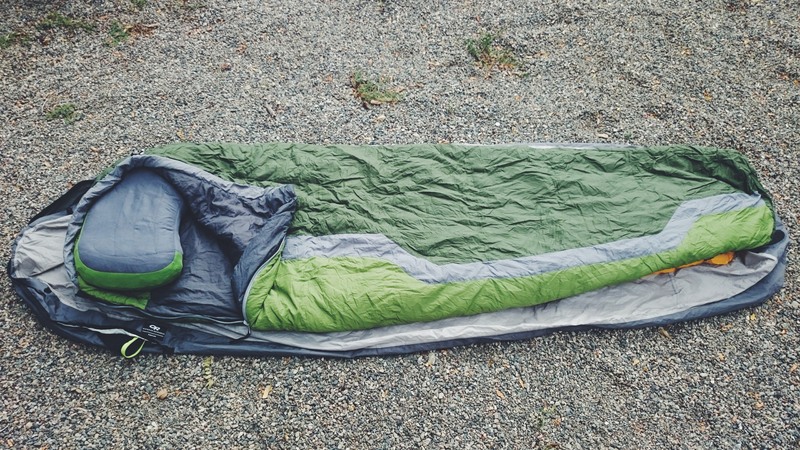 Learning to sleep in a Bivy may be the hardest part of this system. 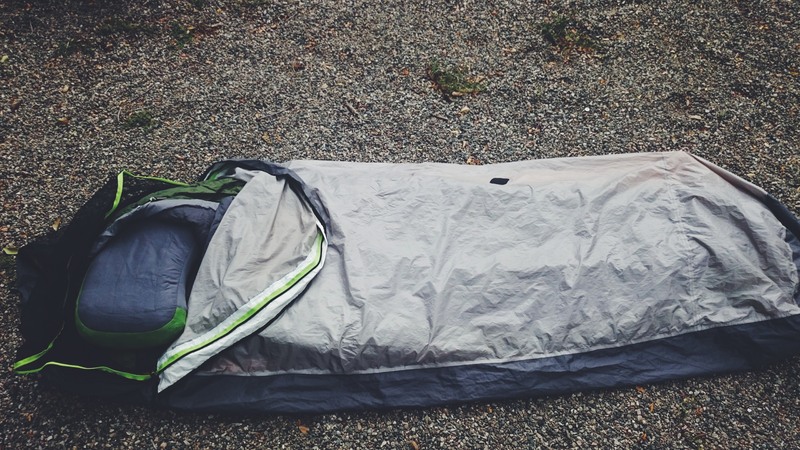 With the sleeping pad and bag inside, there is just enough room to roll around. Certain positions can leave you feeling a little bit claustrophobic. In hot Summer weather, I may prefer the airiness of a tent. I run into too many crawling insects in Arizona to sleep full open. The Sea to Summit Ultralight pad is about 2″ thick when inflated. 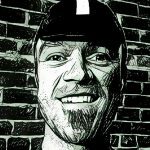 I can blow it up in 6 breaths and it deflates easier than any other inflatable pad I have used. There is no effort to squeeze the air out. Just open the valve and roll it up. Once deflated, this pad rolls up very small. So far, it has been extraordinary. This is one of the quietest pads I have ever slept on or near. Some owners have raised concerns over durability, but I think that starts with picking a good spot and checking it is clear of sharp objects. This pillow was what originally got me interested in the Sea to Summit line of products. It packs up ultra small, has a soft feel on the face, and inflates in two and a half breaths. The outer soft layer is separate from the inner, inflatable bladder. This keeps the pillow quiet and feels like a pillow case against the skin. 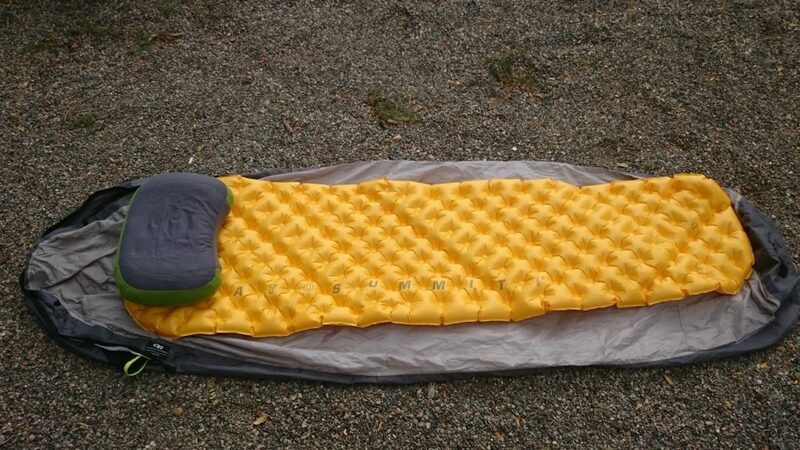 This sleeping bag has also been retired and replaced by a newer model. This synthetic bag is one of the most compact I could find. It is rated for 32 degrees and has been fine at that temp every time the thermometer has dipped to freezing. At the coldest temps, I usually wear thick wool socks to keep my feet toasty. If you are looking for a compact sleeping bag at half the price of down, I highly recommend this line of bags. 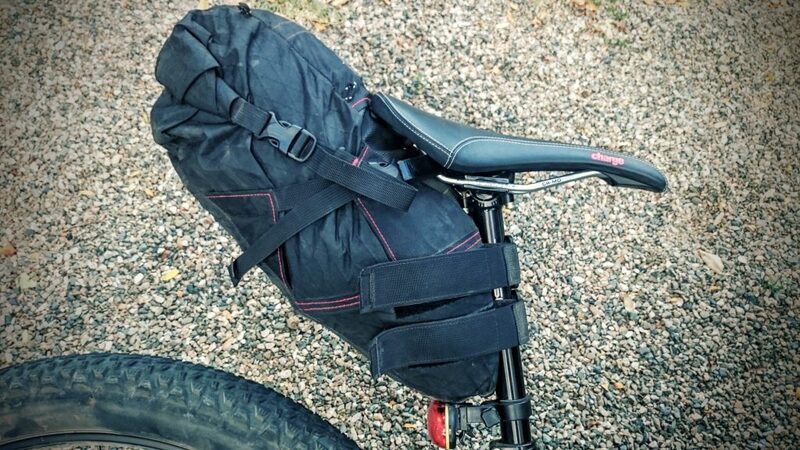 All of these items, when compressed down, fit nicely into my Relevate Designs Viscacha Seat Bag. There is even extra room for a light jacket.